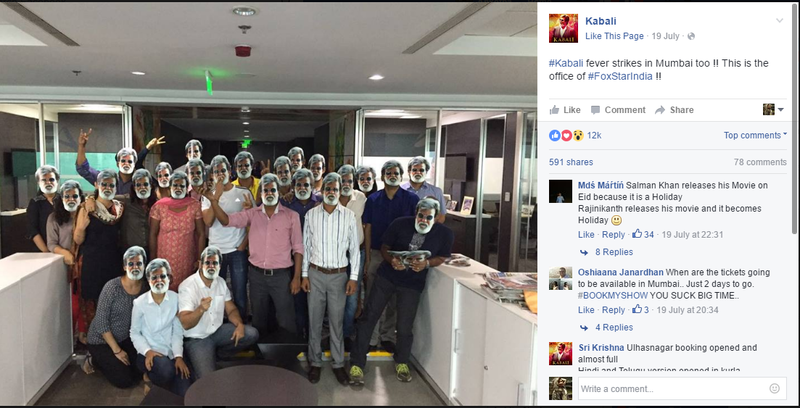 Did Rajinikanth Starrer 'Kabali' Manage To Break Social Media? 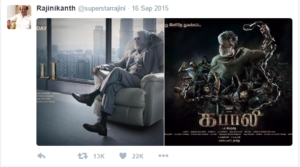 Did Rajinikanth Starrer ‘Kabali’ Manage To Break Social Media? Home » Blog » Brand • Digital Marketing • Social Media • Uncategorized » Did Rajinikanth Starrer ‘Kabali’ Manage To Break Social Media? With the grand theatrical release for Kabali taking place today, the most waited film of the year has finally made its splendid arrival. This Rajinikanth starrer has taken the entire country by storm with theaters being sold out weeks in advance, certain cities like Chennai and Bengaluru announcing the 22nd of July as a holiday due to large number of leave requests coming in order to watch the movie and cinemas airing the film as early as 4 am to accommodate the huge influx of Rajini’s fans fighting to catch a glimpse of ‘Thalaiva’ is his new avatar. For the scores of die hard Rajini fans in India and abroad, the makers of the film haven’t released any special footage or a trailer for the film apart from a 30-second teaser. Not surprisingly, this was more than enough to pique the interests of his massive fan following. The teaser of the film which released on 30 April took over social media – crossing 25 million views on YouTube, to become the first Asian film to achieve the feat. 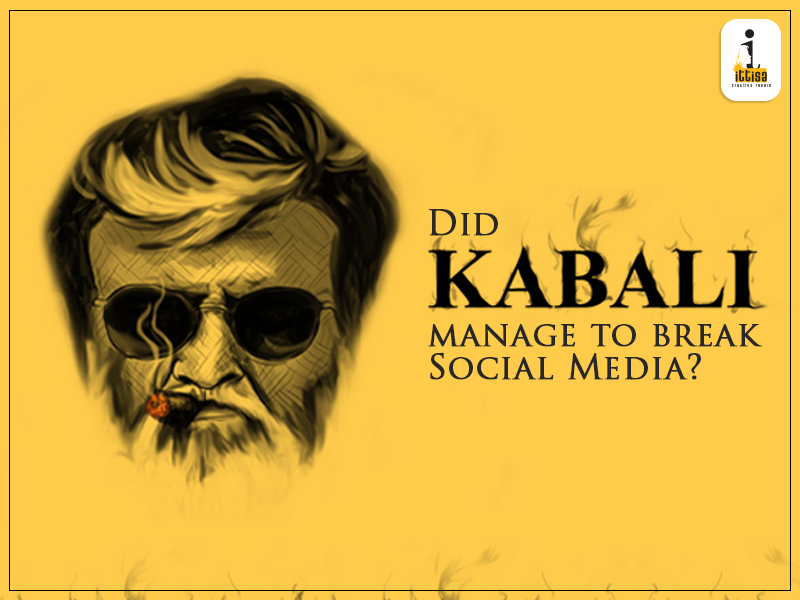 On their official Facebook page with a total number of 270, 363 likes and an average of 1000 likes on every post, the Kabali page has kept its Social Media Strategy fairly simple and gained popular attention by sharing user generated content. Hence, for the Social Media promotions, the makers decided to let Rajinikanth’s star power do the talking and kept their content simplistic. On Twitter, the popular hashtag #KabaliDay has been trending all day nationally with other famous celebrities giving their regards to Thalaiva and his film. There were no other Twitter promotions or an official handle made for the film and no promotional tweet put out by either Rajinikanth except for when Kabali officially began shooting and that single tweet gained around 22,000 likes and 13,000 retweets. Apart from Social media promotions, here is a roundup of the collaborations under taken by the makers of the film in order to give you an idea of the Kabali fever that has infected the nation! 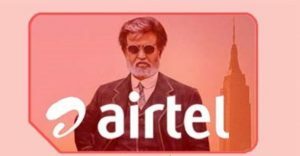 One of biggest networks in the country announced the launch of Kabali exclusive products and services which included special “Kabali” recharge packs with unlimited 2G internet, Hello Tunes as well as a new ‘Kabali’ branded SIM pack. Airtel also set up a special SMS channel for users to wish Rajinikanth before the film’s release. All of which was collected along with the customers names and presented to the superstar himself as a memento in the form of a coffee table book. AirAsia unveiled its new re-branded aircraft featuring a livery dedicated to the film and the fans, after being announced as the official airline partner. According to the company, this special aircraft is a mark of respect to the ‘Thalaiva’ for his contribution to Indian cinema. The AirAsia India network flew this aircraft across all its destinations covering Bengaluru, New Delhi, Goa, Pune, Chandigarh, Jaipur, Guwahati, Imphal, Vizag and Kochi. Being the official airline partner for Kabali, it took a special flight from Bengaluru to Chennai for the fans to watch the first-day-first-show of the movie. Bengaluru fans, who want to catch the first show on the first day, are able to fly to Chennai on a special flight. 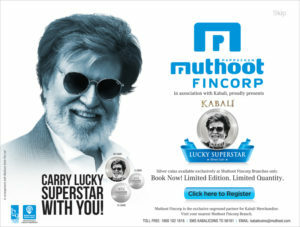 The package, priced at ₹7,860, is inclusive of the flight ticket, a movie ticket, an audio CD, Kabali merchandise, breakfast, lunch and snacks. 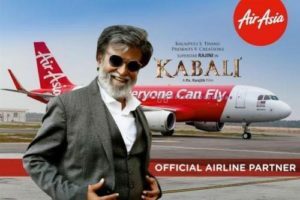 Reportedly, AirAsia has also launched a social media contest on their official Facebook page where top 10 winners get to watch the first show of Kabali on the day of release. Three other winners stand a chance to fly to the locations where the movie was shot in Kuala Lumpur and Bangkok. Joining the in the Kabali madness is Kerala based Muthoot Fincorp who took to issuing 999 pure silver coins with the embossed image of the superstar. Booking for the special edition silver coins were available from July 15th in 5gm (For Rs.350), 10gm (Rs.700), 20gm coin and pendant (Rs.1, 400). Apart from the above mentioned, there were a number of other brands that indulged in the Kabali frenzy. Where PVR, the official multiplex partner offered customers a special digital poster with the PVR logo up for sale on its website. Kabali merchandise like T-shirts, key chains and Rajinikanth figures are being sold through Amazon and Cadbury too partnered with V creations and renamed their popular chocolate ‘Five Star’ as ‘Superstar’s Five Star’. 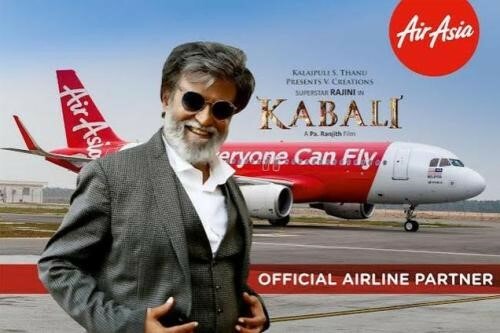 As the country gears itself to delve into Thalaiva’s new release today, the makers of the film left no stone unturned to promote the film, they’ve managed to rope in the biggest names from various industries such as AirAsia, Cadbury and Airtel to promote the film. However, knowing the impact Rajinikanth’s movies have on the Indian public, the idea of the film not becoming a widespread box office hit is unfathomable. So, are you a Thalaiva follower? And did you manage to catch his latest flick?